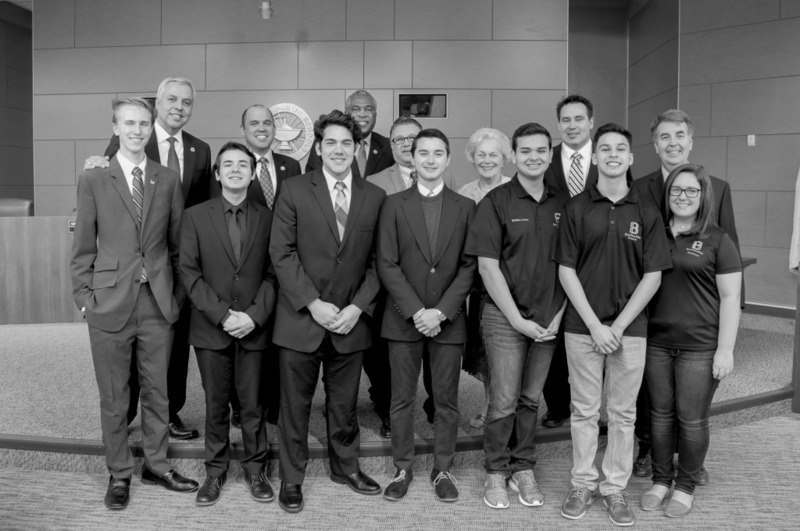 Harlingen High School and the Harlingen High School South Speech, Drama, and Debate teams will travel out of state to compete in national tournaments. HHS and HHSS qualified for the National Individual Events Tournament of Champions on May 12-16, 2016 at Denver East High School in Denver, Colorado. Students had to earn two bids at nationally recognized tournaments to qualify for this prestigious competition. James Montelongo, Tristen Rosales, and Joseph Echavarria will represent HHS at this contest. Competitors for HHSS include SawyerWarrenburg, Matthew Canon, Enrique Cantu, and James Gracia. HHS competitors, Grant Burbach and Tristen Rosales also qualified to attend the Kentucky Debate and Speech Tournament of Champions on April 29-May 3, 2016. They qualified for this contest after earning a bid at the Harvard Tournament in February.